The ALPSP Awards for Innovation in Publishing announcement is fast approaching. In the latest in a series of blogs profiling the finalists of the Awards, we spoke to Christian Box, Head of Sales Operations at IOP Publishing, about the IOP ebooks™ programme. CB: IOP Publishing is a subsidiary of the Institute of Physics, a not-for-profit society. Our headquarters are in the UK but we have offices worldwide. We publish more than 70 journals across the physical sciences and beyond that we publish magazines, conference proceedings and more recently, ebooks. CB: The IOP ebooks™ programme is a brand new book programme launched in October 2013. Our vision is to create the leading collection of physics books for a digital world. We aim to do this by bringing together outstanding researchers from across the physics landscape, with a born-digital, innovative approach to book publishing to make us the publisher of choice in the physics community. Despite starting with no backlist, platform or production system we established and launched our programme in 12 months. CB: To date, 10 books have been published across two collections – IOP Expanding Physics and IOP Concise Physics. We expect to publish 30-35 books by the end of the year. When we started the project, we were able to utilise a lot of in-house expertise from across the business (IT, production, marketing, the design studio etc.). We wanted to transfer the knowledge and skills we have in journal and magazine publishing into books and I think we've been able to do that well. Naturally we've had to add some new skill sets, including a new book commissioning team. We've also established key partnerships to support the programme – IOP Concise Physics is built in partnership with Morgan & Claypool, for example. CB: It’s a combination of factors, but in essence I believe that we have created the first book programme in STM Publishing designed around the digital version. Over the last 5–10 years STM ebook publishing has progressed but we found that the vast majority were still based on the print model – what you might call “print books online” rather than ebooks. Our approach completely disassociates the two, meaning that we can focus on the digital delivery of our books. I would highlight three particular points within our programme that captures this. Firstly, we believe the reading experience that we offer is the best in STM publishing. We publish all books in HTML, PDF and EPUB 3 and make them available as individual chapters or whole books. This puts the reader in control – allowing them to read the book the way that they want, on the device that they want. This also gives the authors the freedom to go beyond the constraints of the printed page – allowing the incorporation of multimedia and use of features such as MathJax. Secondly, and associated to the reading experience, is the freedom of use. For our institutional customers our books have no DRM or restrictions on use, which means that a librarian can feel comfortable that they are buying unlimited, restriction-free content for their patrons. 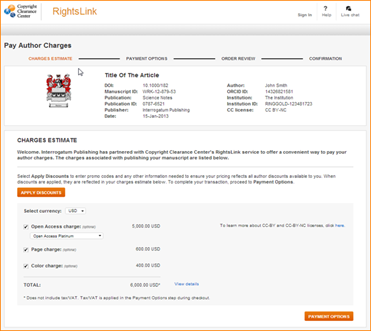 Finally, we have moved away from a traditional print royalty model for rewarding our authors, to allow us the flexibility to fully embrace digital publishing without being constrained by the limits of a royalty model based on print. What makes our programme innovative is the way we have bought all of these factors together to launch a true digital books programme. This is a real advancement in publishing. CB: In terms of future expansion, we are commissioning new content in physics and other complementary subjects and plan to publish more than 120 books per year in 3-5 years. We are also developing the functionality on our platform, IOPscience, to offer the best reading experience and exploring new business models that provide flexibility for our customers. Christian Box is Head of Sales Operation at IOP Publishing and was part of the team who developed the IOP ebooks™ programme. The winners will be announced at the ALPSP International Conference. Registration closes on Thursday 28 August. Book now to secure your place. This is the latest in a series of posts profiling the finalists of the ALPSP Awards for Innovation in Publishing, sponsored by Publishing Technology. We asked Bruce Rosenblum, CEO of Inera, to tell us more about Edifix, a cloud-based service for bibliographic references. BR: Inera was founded in 1992 as a consulting company specializing in applications of SGML and XML. Over the past twenty years, we've built a seasoned team of publishing and software professionals who provide a wide range of innovative and practical solutions for the publishing industry. We developed and license eXtyles, a suite of Word-based editorial and XML tools, and now we’ve launched Edifix, our new online bibliographic reference solution. eXtyles and Edifix allow their users to automate the most time-consuming aspects of document publication, and customers around the world rely on these software solutions to drive modern electronic and print publication workflows. Beyond our software development activities, we actively engage in standards development. I was a founding member of the NLM/JATS/BITS DTD working groups and continue to be involved in the development of those DTDs. We also participate in cross-publisher initiatives (CrossRef) and board membership in key organizations (NISO). 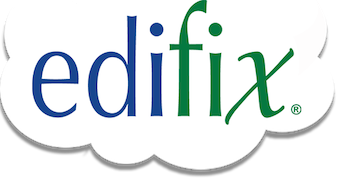 BR: Edifix, the first product of its kind to make automated parsing and correction of bibliographic references available as a cloud-based service, is under consideration for the Innovation in Publishing Award. BR: The Edifix interface is a simple web form into which users can paste plain-text bibliographic references from Word or other programs. Depending on the settings chosen by the user, Edifix quickly returns the same reference list copyedited to a preferred style (such as AMA, APA, Chicago, or MLA) and linked to PubMed and CrossRef. In addition to providing these links, which enable the user to quickly access the cited material, Edifix can correct missing or erroneous reference data. The quality improvement is therefore twofold: both the style and the accuracy of each reference is addressed. After Edifix processing, the user can move the corrected references back into Word or save them to RIS format for easy import into reference management systems. For publishers and other organizations that require granular and accurate reference XML, Edifix also offers the option to save the references to JATS (NLM) or PubMed XML, and for such applications it can be called directly via a programmable API. Edifix shows the Inera team at its best. The project idea arose from a company retreat in 2012, proposed by members of the Inera staff who had previously worked as editors. The proposal, wholeheartedly backed by the management team, was quickly put into action by our small but nimble development team. Over the past 20 months, every member of Inera has been involved in this project, whether in design, development, testing, or sales and marketing, and additional improvements were suggested by beta testers. However, long before we started on Edifix as a cloud product, Inera had already invested more than 30 person-years in the development of the bibliographic reference-processing engine, which is a key feature of eXtyles. BR: There are a number of tools on the market for managing bibliographic references; these tools are used primarily by researchers for maintaining reference databases and creating reference lists. Edifix, however, is not a reference manager. Reference managers require structured or fielded reference elements, which for plain-text references – the kind you find in a typical manuscript – involves a lot of cutting, pasting, and re-keying of reference data. The critical innovation Edifix brings to the bibliographic reference problem is its parsing engine – that is, its sophisticated ability to automatically identify the elements of plain-text references. This ability to accurately burst a reference into its parts and then put it back together enables all of the advanced Edifix services, from copyediting to data correction to structured output (including an output format that will let you import into a reference manager like EndNote without all of that manual labor). In particular, our unique parsing engine enables us to successfully address the challenge of linking and correcting references with data from online sources. When the original reference contains errors (not an uncommon occurrence), you need to ensure that further steps correct rather than exacerbate those errors. To do so, Inera invented special fuzzy-matching and data-scrubbing technologies to link references without false-positive errors and then intelligently merge the data from PubMed and CrossRef with the original reference. These technologies enable Edifix to link and correct references that otherwise may not link at all. 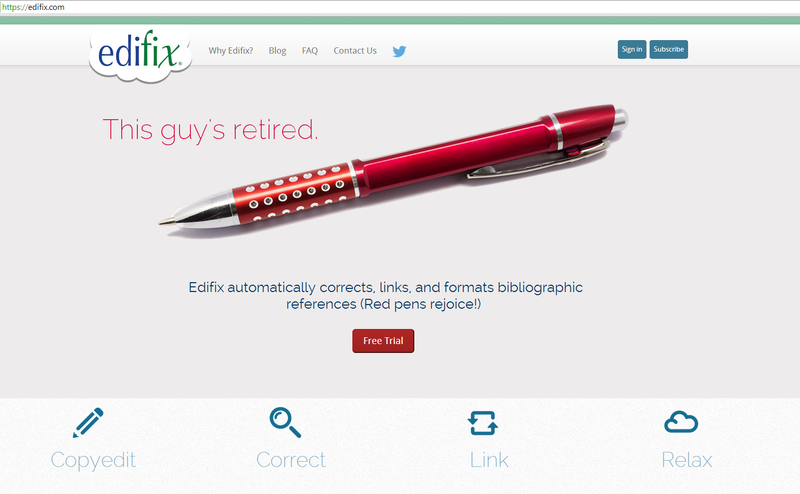 By moving Inera’s groundbreaking reference parsing, editing, and validation technology into the cloud, Edifix makes extremely high levels of accuracy affordable to anyone who works with bibliographic references, from individual researchers and editors to publishers and service providers. The ability for a group administrator to manage a team of users in a single organization. Beyond improvements to our software products, our future plans include long-term strategic developments to ensure that our solutions remain ahead of the curve in the rapidly changing world of publishing. It’s an extremely exciting time to be working in this industry, and we’re thrilled to be able to provide products that genuinely improve the quality of, and people’s access to, the scholarly record. The winners will be announced at the ALPSP International Conference. Book by Friday 8 August to avoid the late registration fee. 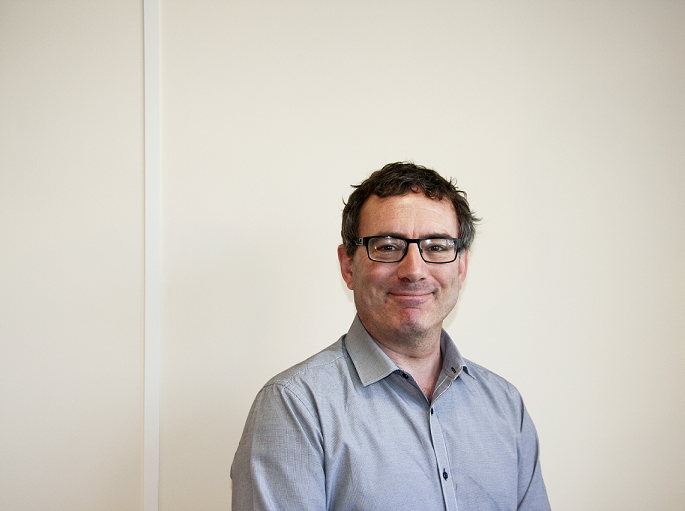 Rod Cookson, Editorial Director at Taylor & Francis reflects on the findings of the Open Access Learned Society survey produced in conjunction with ALPSP. "Attitudes to Open Access are changing, with learned societies beginning to see Open Access as a business opportunity as well as a means of increasing outreach. ALPSP and Taylor & Francis conducted a survey of learned society officers in April 2014, following up a similar survey from 2013. The sample size (139 responses, a 7% response rate) means this is a snapshot rather than a comprehensive poll, but it provides intriguing insight into the priorities of senior society officers today. Societies finally seem to be shaking off recession and looking at the world with greater confidence. More than twice as many societies report rising member numbers rather than falling (42% up, 16% down), where last year nearly three out of ten were experiencing decline. Likewise more than a third of societies (35%) say that income from journal publishing is up, and half (51%) have flat financial performance. Priorities have also changed. Two-thirds of societies (68%) strongly value a predictable financial return, rating this above a ‘healthy’ or ‘growing’ return. In 2013, ‘healthy’ scored highest. In uncertain times, societies desire an absence of financial surprises above all else. Perhaps the most striking manifestation of greater self-assurance comes in the field of Open Access. A large majority of respondents (68%) believe that research published by their society should be free to read for all – intriguingly, identical to last year. Similar if less emphatic positivity has been reported in other surveys, including those by Wiley and EDP Sciences. Many fewer of our respondents, however, are prepared to lose money making Open Access happen. 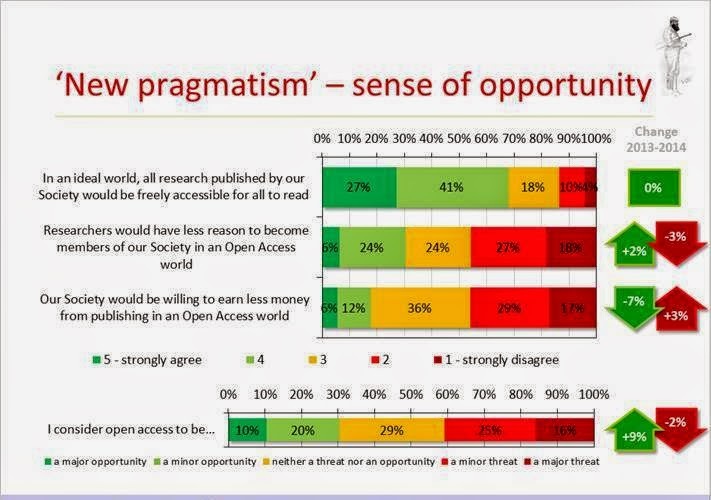 Only 18% of societies say that they are willing to earn less money in an Open Access world, against 46% who are not. This is a 10% swing away from the ‘earn less’ position compared to our 2013 survey. Anxiety remains that Open Access reduces the appeal of society membership. Close to half our respondents (45%) agree that OA gives members less reason to belong to societies, versus 30% who disagree. The gap is smaller than last year (a 20 percentage point differential has dropped to 15 points), but this issue clearly troubles many societies. The biggest change of all comes in whether Open Access is opportunity or threat. Almost a third of respondents (30%) now see OA as an opportunity, compared to 41% who view is as a threat. Whilst ‘threat’ is still the larger number, the difference between these two camps has halved since 2013. Is this the start of a ‘new pragmatism’ for societies about Open Access? Certainly fear seems to be giving way to a sense of practical opportunity. Looking ahead, nearly half of respondents (47%) say they are planning new Open Access journals. If OA is the new rock‘n’roll, societies are looking for a little less conversation, and a little more action…"
Rod Cookson is Editorial Director at Taylor & Francis. View the full survey on their website.